Right to live support demonstration in Tampere spring 2017.
Who has the right to live? Is Finland still a constitutional state? How are people made “illegal”? How is Fortress Europe being built? 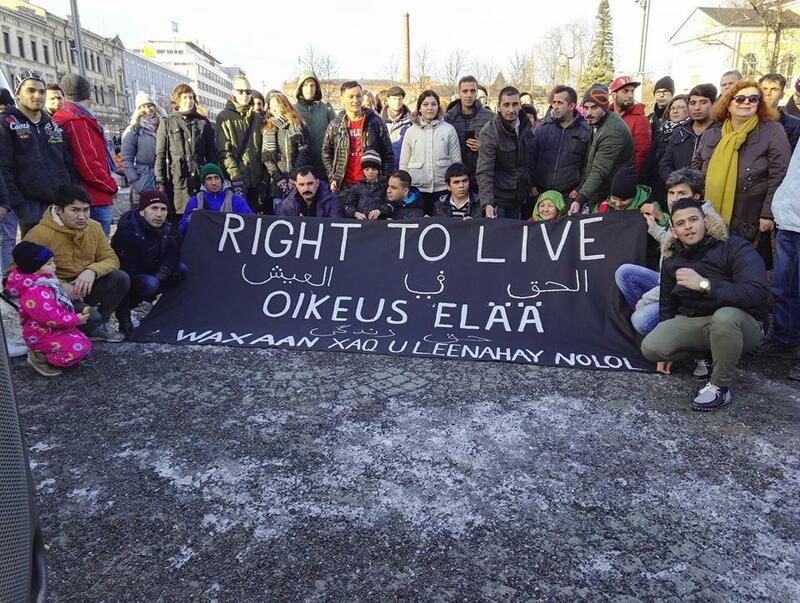 Asylum seekers have demonstrated for their right to live at Rautatientori in Helsinki for over 100 days. 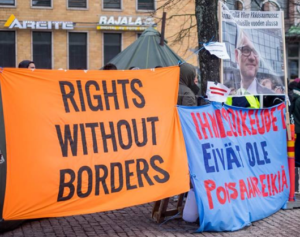 This spring we have seen in Finland more and more forced deportations to countries like Iraq, Afghanistan and Somalia, where the security situation has only worsened during last years. Finnish migration policies have tightened during last couple of years. New laws and immigration offices guidelines and pracitices have led to an unbearable situation from the human rights perspective. At the same time a huge wave of support from ordinary people has made the struggle for more humane migration politics more visible than ever. Totuusradio addresses the current migration politics, changes in the immigration legislation and talks about the people in the middle of it all. In studio Veera Kaleva is leading the discussion with asylum seekers and other Free Movement Network -activists from Tampere Ahmed, Ali, Anna-Reetta, Imran, Jonna and Ramin in English. We will also hear short recordings in Finnish from the seminar “Kohti inhmillisempää turvapaikkapolitiikkaa” that was organized in Helsinki 3.5. by Vapaa yliopisto and University of Helsinki Faculty of Law. The programme is streamed live, comments and questions can be sent by commenting this article.